Metro Boston Plumbing & Mechanical, Inc. Comment: There is a smell of gas at the exaust when furnace fires up. Comment: Led light is flashing and the blower is not working. House has no heat this morning! Comment: Have a ventless fireplace in a condominium that has been used infrequently and would like to have it inspected and cleaned, also to add a blower to direct the heat into the room and not up to its enclosure. I would like an estimate of what this would cost. 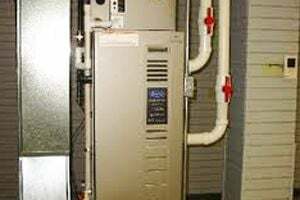 Comment: Currently heating with Oil fired furnace, Forced hot water, and a Super Saver Water heater. Electricity is not an issue as we have 110% Solar capacity. House is 2100 sqf on a 10,000 sqf lot. Cooing is with In window AC units. Would like to replace Furnace and centralize the cooling as well. A. Bell & Company, Inc.
Gloucester Heating & Furnace Contractors are rated 4.58 out of 5 based on 654 reviews of 27 pros. Not Looking for Heating & Furnace Systems Contractors in Gloucester, MA?